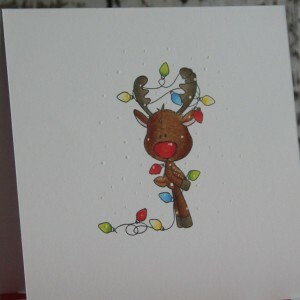 For CASology with topic electric I took super cute stamp from CCC designs with reindeer and christmas lights. It is one layer card. 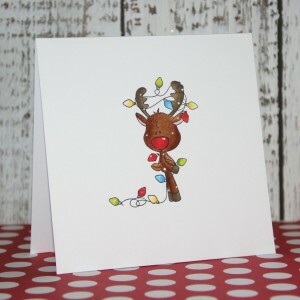 I stamped reindeer with Memento tuxedo black and coloured it with Copics. To add some interesting touch of card I added some false snowflakes which makes very nice 3D effect. You can see detail on second photo. 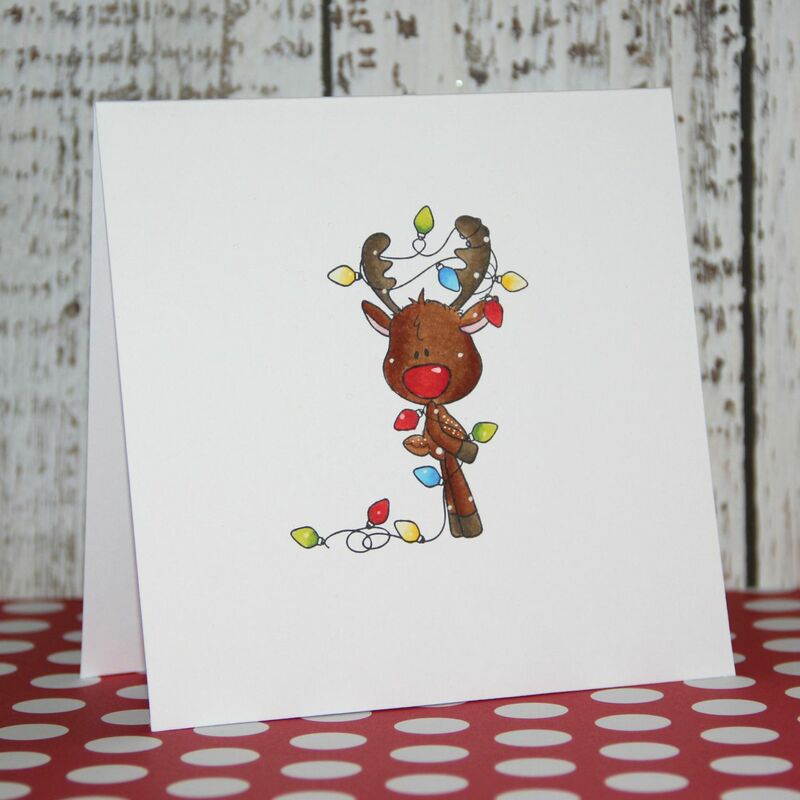 This entry was posted in Challenge and tagged cardmaking, Challenge, Copic. Very sweet – love the clean design and the bold colours! So glad you joined us at CASology this week! Kate, this is so adorable! Those electric lights all tangled up…and those little snowflakes…and your amazing coloring…so perfect! Thanks for joining us at CASology!